Fracking site, Marcellus Shale. Photo courtesy of U.S. Geologic Survey. I grew up with brothers, so I knew from an early age that the easiest way to make friends with guys was to feed them chocolate chip cookies. I took this strategy with me to college, commandeering the tiny kitchen in our coed dorm. The aroma wafting down the hallways reliably drew a crowd. One fan was so enthusiastic that he wanted to learn to make cookies himself. So the next time, he showed up at the start of the process. He watched me combine sugar and butter, eggs and white flour. Instead of being enthusiastic, he was appalled. It had never occurred to him that anything as terrific as a cookie could be made of stuff so unhealthy. It’s not that he thought they were created from sunshine and elf magic; he just hadn’t thought about it at all. He left before the cookies even came out of the oven. I felt so bad about it, I ate the whole batch. I realize we have only ourselves to blame. For years, environmentalists talked about gas as a “bridge fuel” that could carry us from a fossil fuel past to a future powered by renewable energy. No one would tarry on that bridge, we figured, because gas was expensive. We’d hurry along to the promised land of wind and solar. But that was before hydrofracking and horizontal drilling hit the scene. 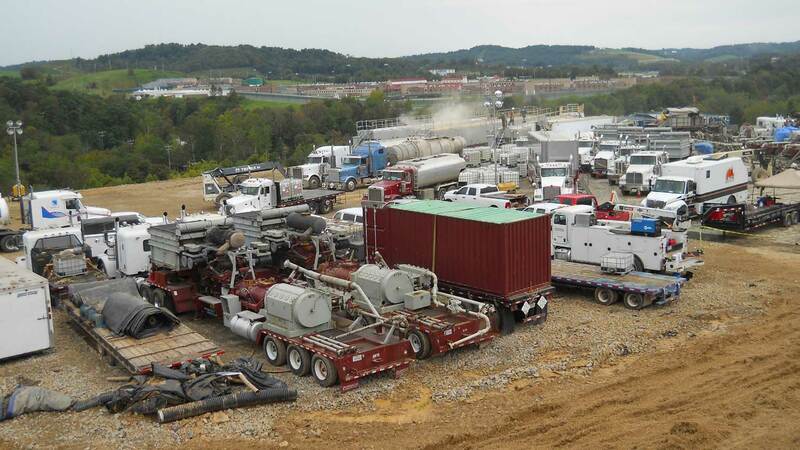 Fracking opened up vast swaths of once-quiet forest and farmland to the constant grinding of truck traffic heading to drilling rigs that operate all day and night, poisoning the air with diesel fumes and sometimes spilling toxic drilling fluids onto fields and into streams. It was before studies documented well failures that let toxic chemicals and methane seep back up along the well borings and into aquifers, contaminating drinking water. And it was before scientists sounded the alarm on “fugitive” methane emissions from wellheads: gas that escapes into the air unintentionally, sometimes at levels so high as to cancel out the climate advantage of burning natural gas instead of coal. All I could think was, “In that case, the destination must be Cleveland.” Which was surely unfair to Cleveland. Just to be clear: environmentalists are not opposed to gas because we are spoil-sports, or purists, or hold stock in solar companies. The problem with natural gas is that it isn’t made by Keebler elves, but extracted through a nasty process that is harming the planet in ways both local and global. If the best anyone can say about natural gas is that it’s not as bad as coal, then lingering on the bridge makes no sense. And anything we do that keeps us here—opening up Virginia to fracking, or building a huge new pipeline to bring fracked gas from other states—is both foolish and dangerous. Foolish, because embracing cheap gas distracts us from the serious business of building wind and solar and using energy more efficiently; and dangerous, because the planet will not stop warming while we play shell games with carbon. This entry was posted in climate change, natural gas and tagged climate change, energy, natural gas, renewable energy. Bookmark the permalink. I love your articles, but the below link from Popular Mechanics doesn’t support your position on Fracking. However, I certainly agree w/you that Natural Gas should be considered only as a temporary bridge/crutch to increased use Hydro, Solar, & Wind power & not a long term (25 years or less) bridge/crutch. This is really timely and I needed some talking points about “clean natural gas” on the tip of my tongue. Thank you.